It is possible to bulk import the content of your Questionnaires so that you don't have to manually input your Questions into the system one by one. 2. If this is your first time ever bulk importing, click the Download Template button to download an Excel template. 3. Type or copy and paste your Questions in to match the template layout. 4. Once all of your Questions are properly formatted, just copy and paste the entire Questionnaire into the large text box on the Bulk Import screen. Make sure to check the box next to My data has headers accordingly. Click the Next Step button when done. After all columns have been properly labeled, select Import at the Bottom right-hand corner of the screen. 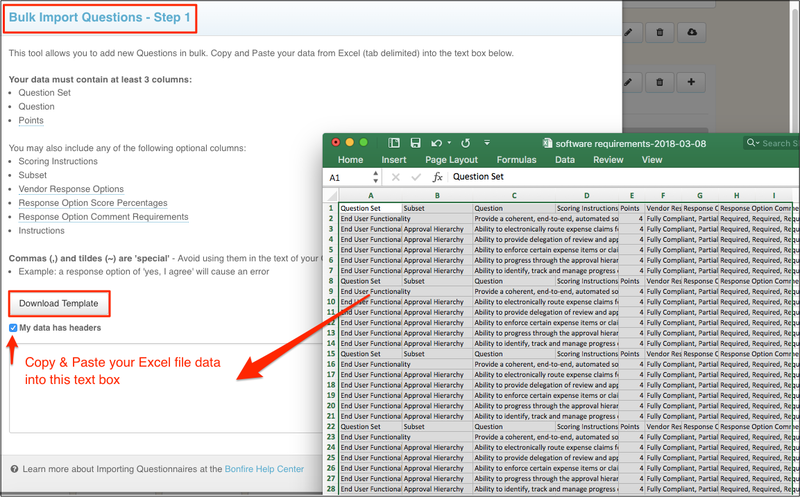 If there are any errors in your data, you will be prompted to fix them before the Questionnaire will be able to be created. Once you've imported your questions, you may also want to set up some Criteria so that your Evaluators know they have to score it. 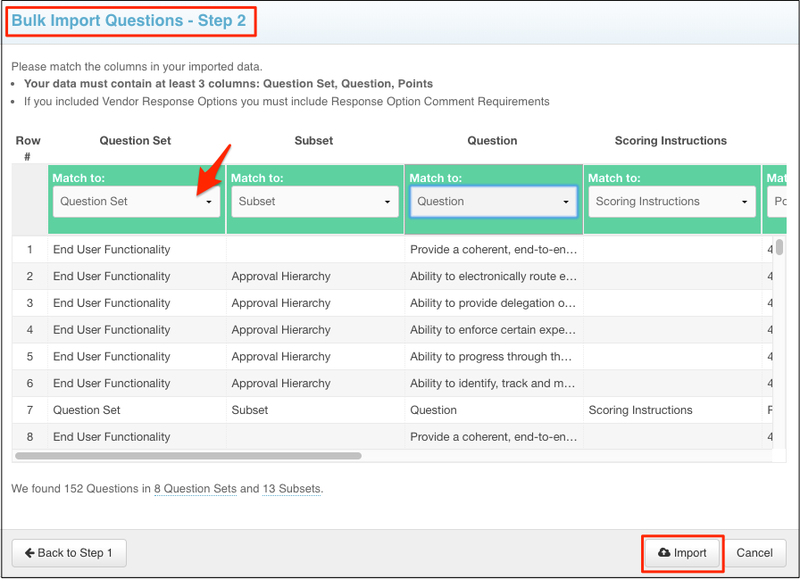 For instructions on that, see our How do I map my Questionnaire to Criteria? page.